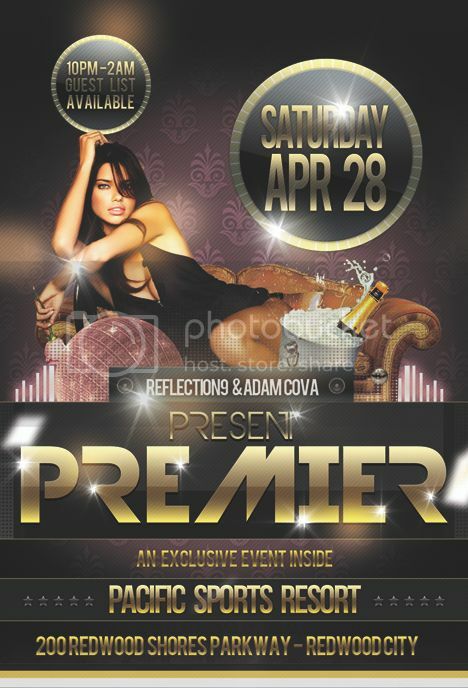 REFLECTION9 & ADAM COVA have joined forces once again in a production for the elite society of the Bay Area and introduce a venue inside the PACIFIC SPORTS RESORT - Redwood Shores, an upscale sports resort complete with a dance space, bar lounge with a 103' TV, 2 full bars and contemporary lounging for VIP Bottle Service. 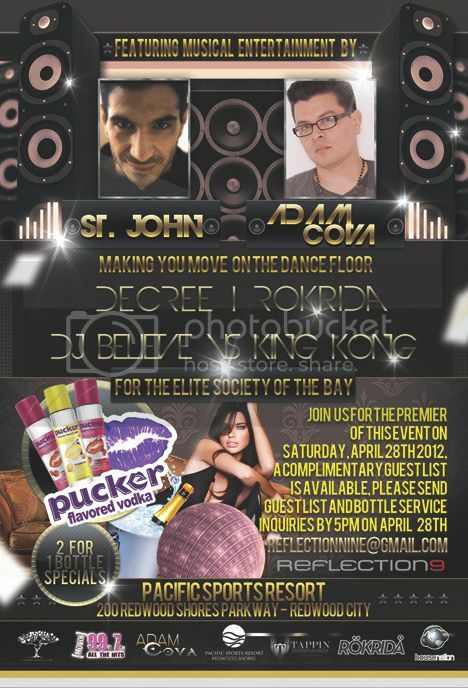 Purchase FIRST Bottle (Any Brand,Prices Start at $175) and receive a PUCKER VODKA on us! Various Flavors are available. Purchase FIRST 2 Bottle (Any Brand,Prices Start at $325) and receive 2 PUCKER VODKA on us! Various Flavors are available.